Well it’s not a surprise, at least to me. No matter Samsung have Galaxy S5 on their display at MWC, but it is the ‘Gear Fit’ that catches all the eyes around there. 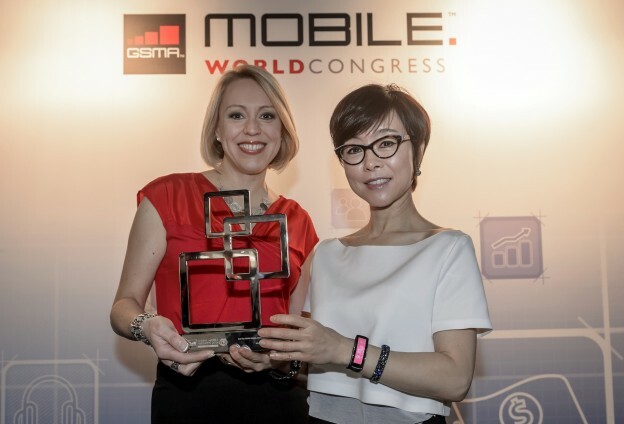 Surely it is one of the most innovative and nice looking device unveiled on MWC over the course of the week and the GSMA seems to agree with that statement as it bestowed the “Best Mobile Device” to the Gear Fit yesterday. The Gear Fit is unique in that it combines the utility offered by a fitness tracker and a Smartwatch. The design of the device is also quite striking, with the 1.84-inch curved AMOLED screen offering wide viewing angles and a higher resolution than the Gear 2 and Gear 2 Neo. The Gear Fit also comes with a real-time heart monitor and syncs activity information to Samsung’s S Health. The Tizen OS running device also has a battery life that is claimed to be twice as long as the Gear 2 and Gear 2 Neo. Samsung’s Galaxy Gear missed the brief entirely as to the function a Smartwatch should serve, but the manufacturer more than redeemed itself with the Gear Fit. The design of the device is unobtrusive and minimalistic, but not too out of the way that you won’t notice an incoming notification. The true testament to the amount of interest in the Gear Fit can be gauged when you see that it has managed to overshadow the announcement of the Galaxy S5. The Gear Fit is scheduled to hit shelves at the start of the second quarter. Price is still a mystery at this point.